Lead author Nick Pepin of the University of Portsmouth, U.K., says, "There is growing evidence that high mountain regions are warming faster than lower elevations and such warming can accelerate many other environmental changes such as glacial melt and vegetation change, but scientists urgently need more and better data to confirm this. If we are right and mountains are warming more rapidly than other environments, the social and economic consequences could be serious, and we could see more dramatic changes much sooner than previously thought." UMass Amherst's Bradley adds that without substantially better information, there is a risk of underestimating the severity of a number of problems, including water shortages and the possible extinction of some alpine flora and fauna. He says, "We are calling for special efforts to be made to extend scientific observations upwards to the highest summits to capture what is happening across the world's mountains. We also need a strong effort to find, collate and evaluate observational data that already exists wherever it is in the world. This requires international collaboration." Records of weather patterns at high altitudes are "extremely sparse," the researchers found. There are very few weather stations above 14,700 feet (4,500 m), and long-term data, crucial for detecting patterns, doesn't yet exist above 16,400 feet (5,000 m) anywhere in the world. 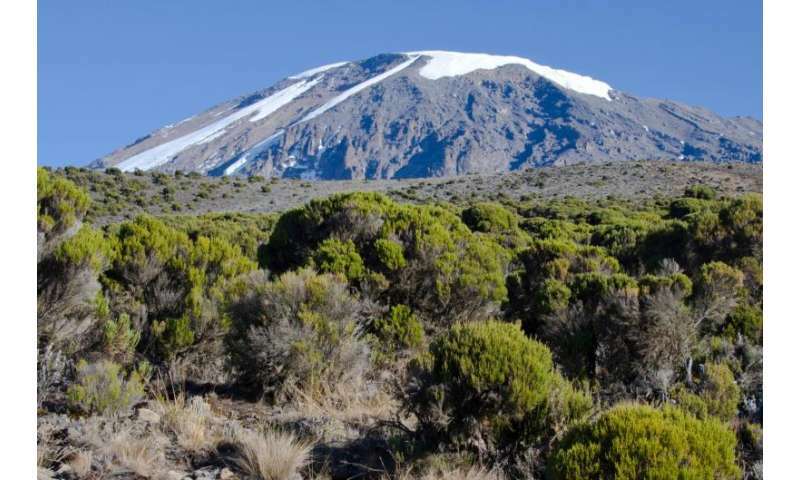 The authors say the longest observations above this elevation are from the summit of Kilimanjaro, which have been maintained for more than a decade by Douglas Hardy of UMass Amherst. For this study, Pepin, Bradley and colleagues reviewed elevation-dependent warming mechanisms such as loss of snow and ice, increased latent heat release at high altitudes, low-elevation aerosol pollutants that increase the difference in warming rates between low and high elevations, plus other factors that enhance warming with elevation in different regions, and in different seasons. They discuss future needs to improve knowledge of mountain temperature trends and mechanisms via improved observations, satellite-based remote sensing and model simulations. Noting that "many factors make it extremely difficult to determine the rate of warming in mountainous regions," the team reports the most striking evidence that mountain regions are warming more rapidly than surrounding regions comes from the Tibetan plateau, where temperatures have risen steadily over the past 50 years and the rate of change is accelerating. This research team with members from the U.K., U.S., Switzerland, Canada, Ecuador, Pakistan, China, Italy, Austria and Kazakhstan, came together as part of the Mountain Research Initiative, a mountain global change research effort funded by the Swiss National Foundation. More HOCKEY SCHTICK AGW Cult "science" from good old Ray.